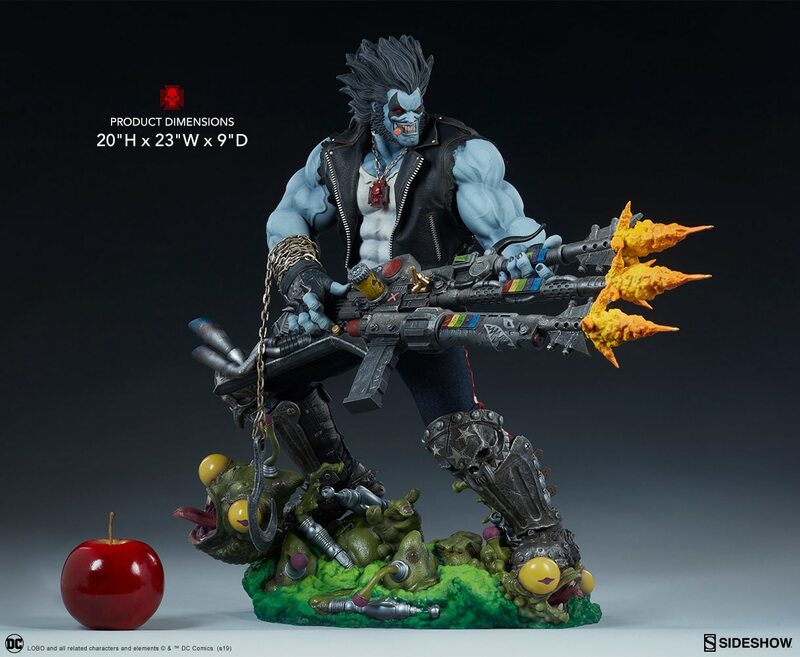 Sideshow is now accepting pre-orders on the DC Comics Lobo Maquette. The Exclusive Edition is priced at $750.00 USD, and the Collector Edition is priced at $730.00 USD. The Lobo Maquette measures 20” tall and 23” wide as the cigar-chomping intergalactic bounty hunter plays a killer riff on a ridiculously detailed three-barreled guitar gun. The Lobo Maquette features a mixed media costume, combining sculpted elements with detailed fabric applications. Lobo has a sculpted undershirt, gloves, and skull-topped boots along with custom-tailored fabric pants and a faux-leather vest with his iconic ‘Bite Me Fan Boy’ patch slapped on the back. This polyresin maquette also features several metal chain elements, holding his signature necklace and giant hanging hook. 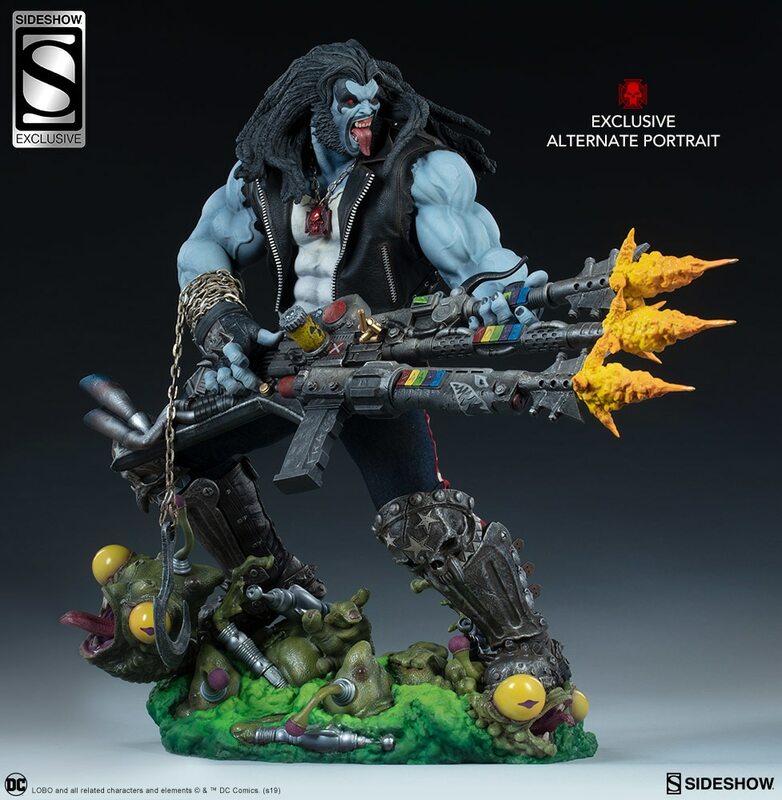 The Exclusive Edition of the Lobo Maquette includes an alternate portrait featuring dreadlocks and a vicious snarl.